A relationship between a Pisces man and a Taurus woman is full of harmony and peace. There are no traits in either that stand out to complement each other. Both are warm and gentle, and make a good pair. The Pisces man is very dreamy and his imagination is on full throttle all the time. This can be very appealing to the simple Taurus woman who is generally much grounded. She has the tendency to be more practical in life. Such glimpses of ideas from another world will intrigue her. It will be a different world experience to interact with the creative Pisces man. It is important for him to know that the Taurus woman may not easily trust people who are mysterious. However, the gentle and caring nature of the Pisces man should charm her and allow her to trust this gentle being. He will not have to go out of his way to lay this foundation because it is in his nature to look after the needs of his loved ones. The Taurus woman is kind and has a serene personality. She is a good care-taker and has excellent family values. This is very much appreciated by the Pisces man who is also stable when it comes to family. He wants to tend to any requirement that his family may have. The Taurus woman will also like to attend to household work and give her best to keep the house organised. In their day to day lives, it is important for both partners to accept the difference their outlook towards life. The Pisces man’s dreamy nature is the opposite of the Taurus woman’s practical views. This gap needs to be reconciled and both will need to tone down their typical trait when it comes to living together. It is not rocket science, only honouring the feelings of the other partner in the relationship, especially for the Pisces man who can easily read the other person’s mind. Romance levels can peak considerably between these two signs. 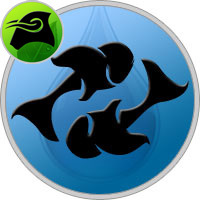 The Pisces man is a very good listener and will try to please his partner by being the go-to person for all their problems, however nitty gritty they may be. This will be a turn on for the simpleton Taurus woman. Casual moments like a hot cup of coffee in the backyard, or a cozy conversation on the couch on a warm summer afternoon can turn into an extremely romantic one. These two will not have to try too hard to get the romance alive in their relationship. It will come naturally. Love relationship between the Pisces man and the Taurus woman will be satisfying. The Pisces man tends to be more psychic while the Taurus woman will be more physical. The amazing talent of the Pisces man to surrender to the needs of his partner in bed should narrow this gap. The Taurus woman is not used to being dominative inside or outside the bedroom. This will be a welcome change for her as she gets priority in the bed. This shows the greatness of love between the two signs. The Taurus woman will understand that the Pisces man is not volatile or amplified in bed. He will please her soul by using showing his devotion to the relationship, emotionally and physically. His sensitive and giving nature will be at its peak and will genuinely enjoy pleasuring the Taurus partner and pleasing her first. The bed may not rattle, but it will definitely be stable and extremely satisfying. The problem spots in this relationship are few and can easily be worked out. Only little effort is needed from both partners. The loyalty of the Pisces man will lay the strong foundation. His charm and intellectual depth is like icing on the cake. The Taurus woman will add stability in the vague and laid back life of the Pisces man. Sparks may not fly every time these two signs collide but this relationship is definitely the one to work on to make it last a lifetime.